The idea that Americans are settling into rocking chairs as they age is now a myth, if it was ever true. Both younger and older baby boomers – those born between 1946 and 1964 – are turning to new hobbies or reconnecting with activities they enjoyed in their younger years. Among the new activities: motorcycles. Between 1998 and 2003, the mean age of motorcycle owners rose from 33 to 43, according to an industry trade association. 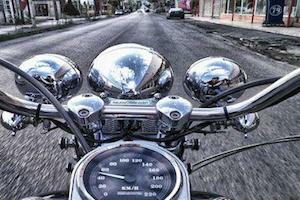 About a quarter of motorcycle riders in the U.S. are 50 or older. This newfound or rediscovered joy of the open road could come with consequences in a motorcycle accident. A recent study found that motorcyclists aged 60 and older went to the emergency room with severe injuries 2½ times more often than younger riders. The lead author of the study of older motorcyclists says that while all motorcycle riders face risks, older people may be more susceptible to them. The study found that older and middle-aged adults were more likely to have internal injuries and brain injuries. These are more serious than the strains, sprains, abrasions and other less serious injuries that younger riders suffered more often. Not everyone agrees with the results of the study. One physician and motorcyclist in the Bay Area told the Los Angeles Times that the study was flawed because it did not determine whether the increase in injuries was due to an increase in the crash rate among older riders or whether there are simply more older motorcyclists on the road. He also pointed out that older riders may have faster, larger bikes, leading to more severe injuries. Overall, the number of fatal motorcycle accidents is increasing at a time when fatal motor vehicle accidents are generally decreasing. In 2001, there were 3,197 motorcycle fatalities, according to the National Highway Traffic Safety Administration (NHTSA). In 2010, 4,502 motorcyclists were killed, including 341 in California. In 2001, about 60,000 motorcyclists were injured, while in 2010, 82,000 motorcyclists were injured. NHTSA data shows that riders age 40 and older made up 39 percent of motorcyclists killed in 2001 and 56 percent of those killed in 2010. The potential for increased injury may not be enough to keep motorcycle riders of any age off the road. Whether age 20 or 60, motorcyclists can reduce their risk of injury by keeping their skills sharp through motorcycle training courses, using helmets and protective gear, and not taking risks such as speeding or riding while intoxicated. Even the most skilled riders may become involved in motor vehicle accidents, however, when other motorists do not take proper care around bikes. An experienced San Jose motorcycle accident lawyer can help victims with severe injuries obtain compensation for damages and hold negligent drivers accountable. Contact us at (408) 289-1417.